Stanislavsky and other "Stanislavskky Pages"
Stanislavsky borrowed from late 19th-century French psychology the concept of emotional memory, recreating past emotions on stage by recalling the sense details that surrounded the original experience. This became the centerpiece of method acting. In the late 1940s, when the Actors' Studio, home of the method, was founded in New York City, Gestalt psychology was just becoming fashionable. The concepts behind many method exercises are in line with Gestalt ideas about how emotion is experienced and remembered. �� ����� ������������� ������� ���������� ���� ���������� ������. ��� ����������� ��� ���� �����, ���� �����, ������ � �������. �������� ���� ������� ������ ���� ����������. ��� ������ ���� �������� � ������ �������� ��������� � ������� �� ���� ������������. ��� ������������ ���� ��� �������� �������� ���������. ��� ������� �������, ���� ���� �� ����������, �������������� ��� � ����� ���������� ���� �����. ������ �� �����, � ���� �������� ��� ������ ���� �������. �� ������ �������� �� �� ������, �� � ���������� ���������. ��� ������ ���� ������� � ������������ ������. ���� �� �������� ������� ����������� � �� ������� ��� �������, �� ������ �������������� � ���������� ��������� �� ������. (��������. ������������� �� ���������. � �. 132; ��. ����� � �. 130�139. Stanislavky was an actor who became a director. The same with Meyerhold. If an actor is a hyper-active spectator, a director is a very active actor. A leader of actors, the one who knows when they need help. How to structure your acting feelings? The same as with movement: aim, action, release. Aim = objective. How could my objective be visible? Only if I have an obstacle. Without a conflict I have no drama. In Fundamentals of Acting class we do the "drunk-exits" exercise. Objective (thesis) is a door,the aim is a direct line between you and the door. The Obstacle (anti-thesis) -- being drunk. Synthesis -- your performance, the trajectory of your movement, the combination of the two. Without a contradiction within your action you can't develop a structure of motion. The notorious "subtext" is the most explicit case of conflicting actions. We do not say what we think. The easiest way to go for a conflict is to seek a contrast. The opposite. Meyerhold used even more radical notion of contra-point. Selection of extremely opposite emotions: love-hatred. Each of the two must be shaped separately; if text is expressing love, subtext would be born out of playing a contrapuntal feeling alone with it. This is not a paradox, Stanislavsky wanted to shift actor's attention from "good" and "bad" acting to focus of authenticity of emotions. Training is about gaining this ability to control your emotions. Intellectual clarity is necessary to focus on that or this feeling; next -- working it out to the full extent. Completed action is always based on emotional completeness. "I (have) said that we cannot directly command our feeling, but that we can entice, provoke and coax them by certain indirect means. The same should be said about our wants, wishes, desires, longings, lusts, yearnings or cravings, all of which, although always mixed with feelings, generate in the sphere of our willpower. In the qualities and sensations we find the key to the treasury of our feelings. But is there such a key to our willpower? Yes, and we find it in movement (action gesture). You can easily prove it to yourself by trying to make a strong, well-shaped but simple gesture. Repeat it several times and you will see that after a while your willpower grows stronger and stronger under the influence of such a gesture. Further, you will discover that the kind of movement you make will give your willpower a certain direction or inclination; that is, it will awaken and animate in you a definite desire, want or wish. So we may say that the strength of the movement stirs our willpower in general; the kind of movement awakens in us a definite corresponding desire, and the quality of the same movement conjures up our feelings." from inside out and from outside in. Meyerhold's revolt against his teacher (Stanislavsky) was an attempt to bring back theatricality back to stage -- theatre's own language. It was a reaction to the king of the century -- Film. "From Inside Out" or "From Outside In"? I don't have any problem with Stanislavsky anymore. I use the System. Methodologically. When I can't get it through with an actor, I leave it aside -- let's try biomechanics. "American System" of Acting? Meyerhold was in love with Taylorism no less than with Kabuki and Commedia del'Arte. Mechanics, almost acrobatics. Very physical. Sports or circus. What am I doing? What? Another book for actors? (A textbook with Russian accent). After revisiting Russia as a Fulbright scholar, teaching Russian American Theatre program. Poetic scholarship, personal science -- the style of the book. Beginning acting. I taught too many. To students: I don't believe in teaching and disciples (? ), I think that the real knowledge comes through revelations. You understand it when it's yours; only then you can perform. My task is to trigger it, to make it your experience = your practical knowledge. Something you can USE. To colleagues-instructors: help them. We leave the classroom. The rest is on them, the students. They will self-direct themselves, manage themselves. Teach them to teach themselves. STRAIGHT TALK: Do we train for stage acting? What theatre do we have and what kind of theatre ahead? I don't understand how it works. The acting thing. And this riddle is a major attraction for doing theatre. I wrote this book because I try to understand how I teach acting. I know that acting is coaching and this book is to help you to teach yourself. I am a grotesque creature; trained in Stanislavsky, I liked Meyerhold; I accepted eclectics -- and all I can do is to offer my students whatever works for them. For each one. One only. You should have your own Method and System. And this is your own style. And if you could get there, you're a star. I try not to teach, I work with my actors, even in class. We are colleagues, we do theatre. The task is simple -- to get it done. Do you know what you have to complete? Actor =/= Character. Difference between Role and Character. 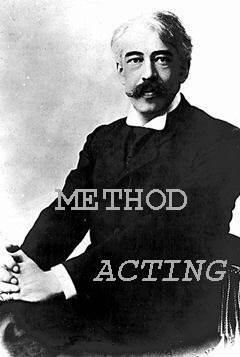 (Meyerhold uses term Image; Character belongs to script). Character -- Actor -- Role -- Spectator <--> Audience, and back. Public is a result of mutual dramatic experience (through aesthetics). At the beginning Greek Theatre didn't know two actors in front of the audience. Only one after another. Audience connects actors, makes scenes. Metamorphosis (Transformation, temporary) and identification -- Meyerhold. Reincarnation and identification -- Stanislavsky. According to Method, character is resurrected through actor and actor's identity is totally dissolved into character's persona. Double existence of actor (Meyerhold). To ask a non-trained actor to create a totally new persona out of his own (he has little knowledge of) is to push him to the text (that's why "cold" readings). Film industry simply decided that no acting is neede; they play themselves. Or be yourself. That's why they talk about talent. And luck. Biomechanics do not ask for sacred treatment. It's not a religion, it's a craft. You don't have to pray, you have to work. Training: double and multiple existence. Spectator in you would direct actor in you. Director is a professional spectator. How to train? Understanding, analysis, directions. Co-existence = dialogical nature. The difference between acting and behavior. Social Roles (Marxism) and social behavior. We act till we make our act into our social nature (behavior). Education is learning how to act socially. Artistic universe: we start with body (beauty), from diet to body building. "Everything in man must be beautiful." Anton Chekhov. Theatre is only a lab or back stage, preparing us for Life as Theatre. Theatre became a skill training and a developer technology of social behavior. The final product -- not audience even, but us living. Public Man is doomed to be lonely. He is acting all the time and must be separated from himself.... and his roles become hisselves. How did media theatricalize our existence? What if we would take it literally? Cameras (photo, video, recording) transform any space into a stage: seen, viewing, watched space. ("Smile, you're on Candid Camera!" sign in the liquor store). Who is my public? Stop on the street in front of the electronics store with cameras and monitors at the window. Watching yourself. Something people before me never experienced. My sense of myself and my picture. Great art of the past -- portraits. Mirror world, our reflections are stolen? Mirror or magnifying glass. My answer, again -- both. As the baby emerges from the womb into the reality of life, he wants only to eat, drink, urinate, defecate, be warm, and gain sexual pleasure. These urges are the demands of the id, the most primitive motivational force. In pursuit of these ends, the id demands immediate gratification: it is ruled by the pleasure principle, demanding satisfaction now, regardless of circumstances and possible undesirable effects. If a young child was ruled entirely by his id, he would steal and eat a piece of chocolate from a store regardless of the menacing owner watching above him or even his parents scolding beside him. The id will not stand for a delay in gratification. For some urges, such as urination, this is easily satisfied. However, if the urge is not immediately discharged, the id will form a memory of the end of the motivation: the thirsty infant will form an image of the mother's breast. This act of wish-fulfillment satisfies the id's desire for the moment, though obviously it does not reduce the tension of the unfulfilled urge. The eventual understanding that immediate gratification is usually impossible (and often unwise) comes with the formation of the ego, which is ruled by the reality principle. The ego acts as a go-between in the id's relations with reality, often suppressing the id's urges until an appropriate situation arises. This repression of inappropriate desires and urges represents the greatest strain on, and the most important function of, the mind. The ego often utilizes defense mechanisms to achieve and aid this repression. Where the id may have an urge and form a picture which satisfies this urge, the ego engages in a strategy to actually fulfill the urge. The thirsty five-year-old now not only identifies water as the satisfaction of his urge, but forms a plan to obtain water, perhaps by finding a drinking fountain. While the ego is still in the service of the id, it borrows some of its psychic energy in an effort to control the urge until it is feasibly satisfied. The ego's efforts at pragmatic satisfaction of urges eventually builds a great number of skills and memories and becomes aware of itself as an entity. With the formation of the ego, the individual becomes a self, instead of an amalgamation of urges and needs. While the ego may temporarily repress certain urges of the id in fear of punishment, eventually these external sources of punishment are internalized, and the child will not steal the chocolate, even unwatched, because he has taken punishment, right, and wrong into himself. The superego uses guilt and self-reproach as its primary means of enforcement for these rules. But if a person does something which is acceptable to the superego, he experiences pride and self-satisfaction. Acting Techniques: "Freud eventually abandoned hypnosis as a clinical technique, both because of its fallibility and because he found that patients could recover and comprehend crucial memories while conscious. Using the technique of free association, Freud asked patients to relate anything which came into their mind, regardless of how apparently unimportant or potentially embarrassing the memory threatened to be. This technique assumed that all memories are arranged in a single associative network, and that sooner or later the subject would stumble across the crucial memory. Unfortunately, Freud found that despite a subject's every effort to remember, a certain resistance kept him from the most painful and important memories. He eventually came to understand that certain items were completely repressed, and off-limits to the conscious realm of the mind. "... Freud's early work in psychology and psychoanalysis endeavored to understand and cure the human mind by means of hypnosis. Freud's initial exposure to hypnosis in a clinical setting was over the winter of 1885-1886, when he studied in Paris with Jean-Martin Charcot, a renowned French professor of neurology. Charcot's work centered on the causes of hysteria, a disorder which could cause paralyses and extreme fits. He soon discovered that the symptoms of hysteria could be induced in nonhysterics by hypnotic suggestion and that the symptoms of hysterics could be alleviated or transformed by hypnotic suggestion. This ran contrary to the then-prevalent belief that hysteria had physiological causes; it suggested that a deeper, unseen level of consciousness could affect an individual's conscious conduct. Freud subsequently collaborated with Josef Breuer, who applied hypnosis not just to cause or suppress the symptoms of hysteria but to actually divine the root causes. 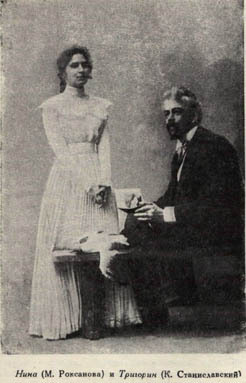 In his work with Anna O, he found that by tracing her associations in an autohypnotic state, he could not only find an original repressed incident, but could actually cure her of her symptom. When she related an event to a symptom while in a hypnotic state, her symptom would become terribly powerful and dramatic, but would then be purged, never to trouble her again. This powerful and often traumatic transfer of an memory from the unconscious to the conscious is known as catharsis, an effective method which also seems to corroborate Freud's theories on the mind." Libido: "Freud conceived of the mind as having only a fixed amount of psychic energy, or libido. Though the word libido has since acquired overt sexual implications, in Freud's theory it stood for all psychic energy. This energy fueled the thought processes, perception, imagination, memory, and sexual urges. In Freud's theory, the mind, like the universe, could neither create nor destroy energy, but merely transfer it from one form or function to another. Because scope of the mind's capabilities was thus limited by the amount of psychic energy freely available, any process or function of the mind which consumed excess energy debilitated the ability of the mind to function normally. Repression, he held, demanded significant amounts of energy to maintain; even then, a repressed thought might come perilously close to becoming conscious, only to be redirected or defended against by a defense mechanism. As well, a fixation on a past psychosexual stage of development could permanently sap this libidal energy, causing, in the extreme cases, neuroses or worse.